Fast growing property management companies achieve both decreased costs and increased revenue simultaneously. They achieve them via outsourcing. Outsourcing enables these property management companies hire international team of employees as an alternative to expensive local employees. Using an international team helps these companies to immediately save 50% of their usual costs. In addition to cost savings, it allows these companies to channel all their time and effort in sales. This helps them achieve substantial sales growth year over year. This is the secret of fast growing property management companies. We are the #1 rated outsourcing company for property management companies. 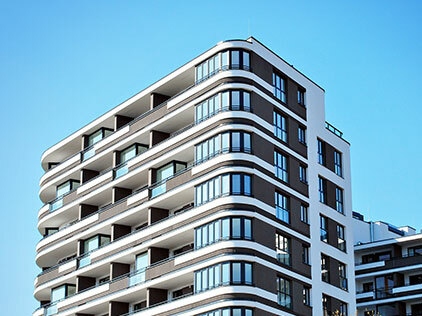 We are the only outsourcing provider offering a full suite of services to property management companies. We help property management companies across many countries.
" Imagine you....adding new properties each week, increasing revenue multi fold, planning expansion to new markets - all this, without hiring additional staff "
We are well versed with many property management accounting software. Our team of certified professionals have several years of experience in handling all aspects of property management bookkeeping, accounting and administration. Why doubt a proven concept successfully used by large property management corporations? Now you too can enjoy the same benefits. You can open your property management office 24/7/365 with our help. This round the clock service will put you ahead of your competitors. Frustrated by inflexible staff? Eliminate instability now. Integra delivers property managers who are flexible to work on any task that needs to done. Your company secrets must stay a secret. Either with you or with us. That's why we will not work for your direct competitor. We are so sure about your success, we offer a no-obligation trial for 30 days. You have nothing to lose, but lots to gain. Where would you get 14+ years of experience at 50% lower cost? This is why you cannot go wrong when you chose to work with us. They start well but fade quickly? 100% commitment is assured for you every single day. Replacing underperforming staff costs time & money? Replace poor performers instantly. Zero replacement cost to you. You will get a great deal of quiet satisfaction if you try this remarkable solution for your property management company. My profits stagnated for the previous 5 years. However it increased by 30% last year. The difference - I started using property management back office. Finding reliable employees is very hard in property management industry. Not anymore. My sincere thanks to property management back office. I recommend them.